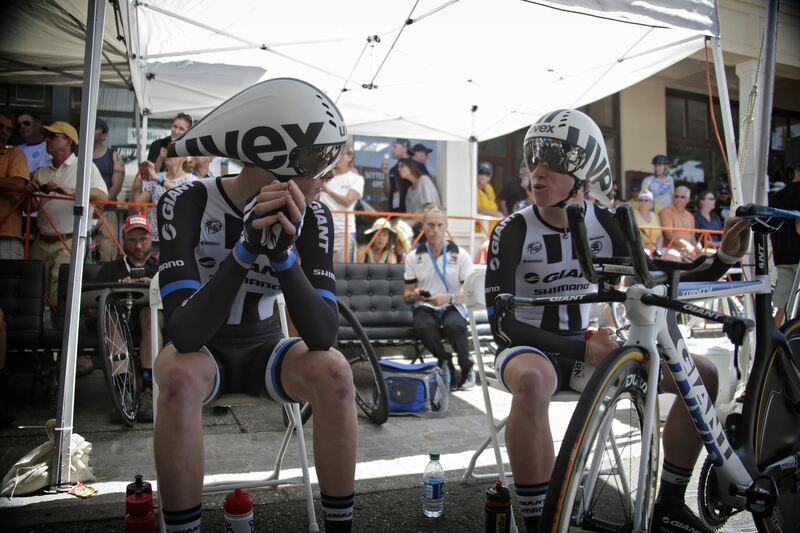 Texas native Chad Haga is currently in the middle of his first season in Europe with Giant-Shimano. So far he has put in some strong time trial performances at the Driedaagse van West-Vlaanderen, Tour of California and Baloise Tour of Belgium as well as helping his team to multiple stage wins at WorldTour races Volta a Catalunya and the Critérium du Dauphiné. I talked to him last month to ask about his plans for the future, the difference between racing in the US and Europe and more. Haga, who has a degree in mechanical engineering, came into prominence at last year’s Tour of California, where he beat the likes of Andy Schleck, Haimar Zubeldia and Leopold König to finish tenth overall at the race. Chad moved to Colorado to join the domestic Rio Grande team in 2011. August saw him move to Optum p/b Kelly Benefit Strategies, where he stayed for two seasons. 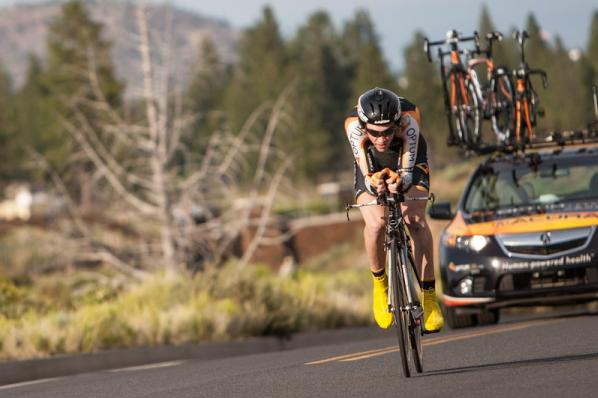 He showed his time trialling promise with prologue victories at the 2011 Mount Hood Classic and 2012 Cascade Classic. His career in the US wasn’t all plain sailing though, as a pileup whilst leading a National Racing Calendar event in 2012 saw Chad break bones in his left wrist and right thumb. The injuries meant he missed out on the Tour of Utah, US Pro Cycling Challenge and also a chance to ride in the World Championships TTT. 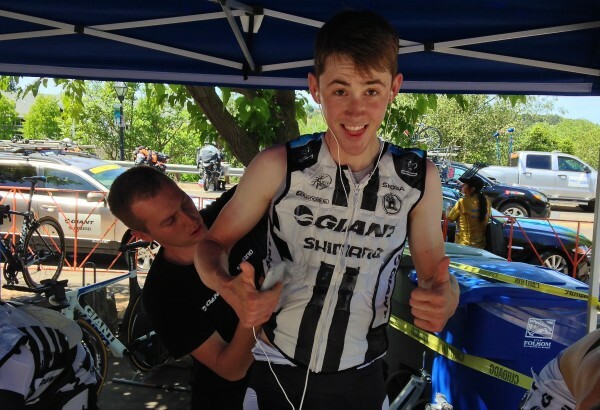 He bounced back the following season though, and in addition to his Tour of California result he won the prologue of the Tour of Elk Grove – a race he podiumed in 2011. Earlier in the season, Chad finished second place overall at his first European race, the Volta ao Alentejo. The future looks bright for Chad as he takes a step up to the WorldTour and the biggest races in pro cycling with the Dutch team, joining fellow ex-pats Lawson Craddock and Thomas Peterson. I saw your strong TTs in Cali and Belgium, nice work. What have you got coming up this season in terms of races and goals? The Dauphine was the last race before my summer break. For the second half of the season, my schedule is still up in the air a bit. I don’t have any specific goals for the rest of the season as far as results at a target race–my goals are focused more on making the roster for certain races like the Vuelta or Worlds TTT. Those are both races that I would really like to do, but I have to prove that I can handle a grand tour and that I’m strong enough to be a good addition to the TTT roster. Are you noticing a lot of differences between racing in Europe and the US? I had always imagined it to be a big step up, even with the European teams coming over for Colorado and Cali, but you seem to have adjusted quickly. Racing in Europe has a lot of differences when compared to the US, but also the ProTour races in general are different. The fields are larger and deeper in talent, the races are longer, the roads are narrower with more traffic furniture and turns. There are a lot of little things that, when added together, make for a big adjustment. Add all that to a first season spent entirely in Europe, and it can be a real shock to the system. All that said, it’s still bike racing, so we’re hardly fish out of water. With your time trialing abilities, are you looking to build your career around specialising in that discipline? 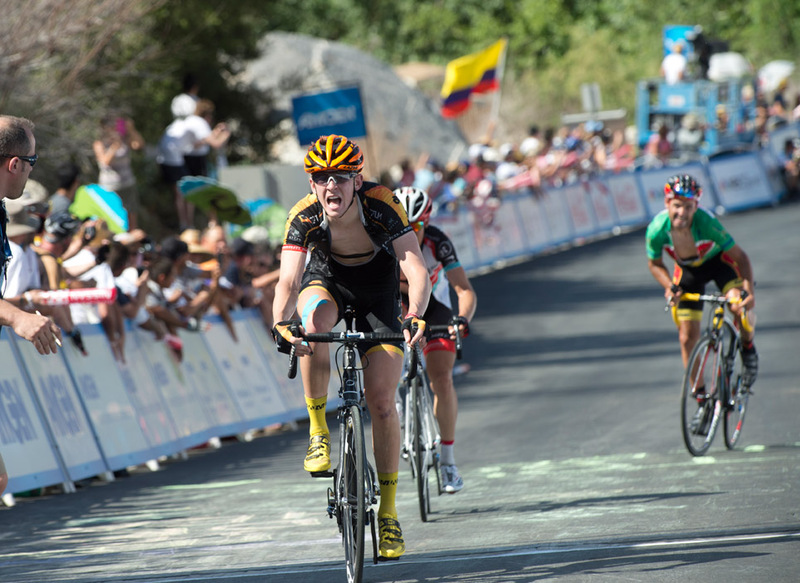 Or is developing more towards being a GC contender in stage races the way you want to go? I definitely would like to specialize in time-trialing, but it really goes hand-in-hand with developing as a GC rider as well. A lot of stage races are TT-centric when it comes to the GC (like the Belgium Tour, for example), so becoming a GC rider depends heavily on TT skills. I’m not of the same build as the true TT specialists like Martin or Cancellara or Phinney, so it is less likely that I can become truly dominant at the highest levels of the sport in all time trials. I can use the time trials to separate me from other GC riders who might climb better than me, however. Speaking of Phinney, you guys along with Tejay and a large number of the Garmin roster amongst others are all part of the new wave of American riders that have emerged in the wake of the USADA/USPS ordeal. From the outside it seems where there used to be pressure to dope, now there’s a pressure to be clean. Is that the kind of vibe that you can feel throughout today’s peloton? Is there a definite pressure to prove things are different now? There’s definitely a pressure to be clean now, for both the riders and the teams. Fans and sponsors alike have been burned by investing emotion and money into the sport, and are rightly timid now after everything that has come out lately. These people still love the sport, though, and the they look to the new generation of riders to cheer on. I think the responsibility to prove that things are different now falls on those who have been involved with its shady past. For riders like me, all I can do is race and train honestly as the sport recovers. To that end, it’s fantastic being on an outspoken anti-doping team where I don’t have to worry myself about it. Going back to the USPS scandal some of those older guys must’ve been role models of yours right? Were you kinda let down when it all happened or do you just feel that all just a product of that period in cycling? I didn’t follow racing outside of the Tour until fairly recently, so I was never familiar with any of the big names in cycling besides Lance. I admired Lance as a bike racer, but he was not my role model. I was definitely disappointed to learn the extent of doping in the past, and I refuse to pass it off as just a product of that period. Regardless of what pressure they may have felt at the time, they were adults who made a decision to cheat. So the team’s stance must have had a big impact in your decision to join? I know most teams are trying to be clean nowadays but there are several who stand out as being more vocal on the issue, Giant-Shimano included. What other factors made you choose them? Yeah, the team’s stance was a big selling point for me, peace of mind is a big deal when considering your employer. The biggest reason that I chose the team, however, was their enthusiasm for my development. They didn’t want to just pull me up to the top level, plug me in, and hope for the best. They said, “Hey, we think you’d do well in the WorldTour anyways, but we want to take an active role in helping you reach your full potential.” It’s hard not to be excited when you hear that! You can keep up with Chad on Twitter and his blog. 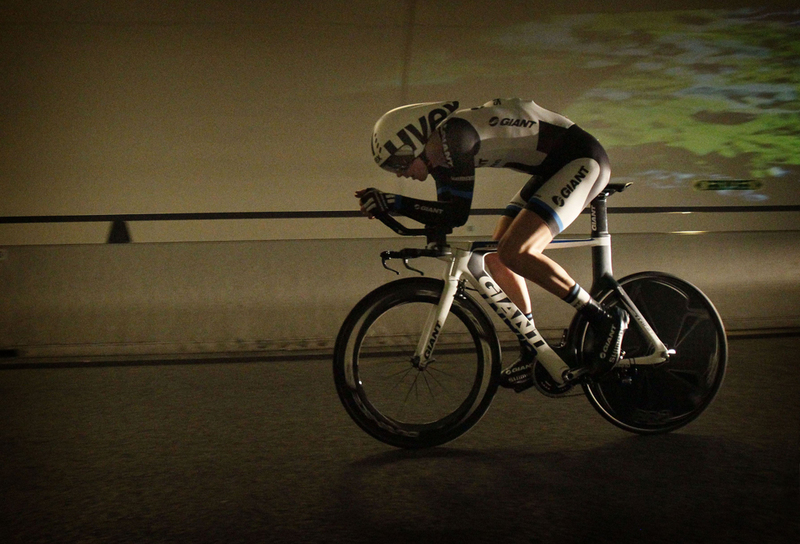 Check out Giant-Shimano’s website here.